Back in April (2016), when we first heard about Atari artwork being assembled into a informational coffee table book, we couldn't have imagined how impactful that book would be. Tim Lapetino's creation, Art Of Atari, is a time machine that brings memories rushing back in beautiful large-format images and text. Randomly opening it to any page depicts a side of video games that rarely gets the attention it deserves! 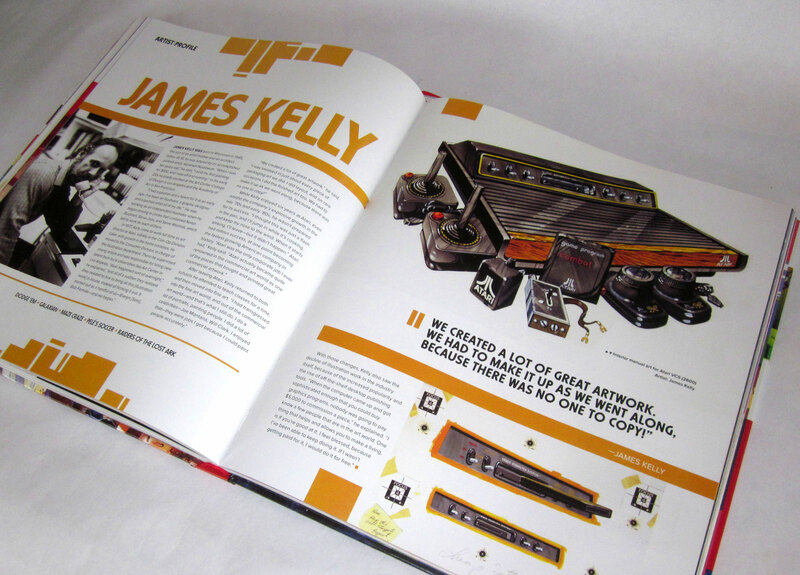 Tim Lapetino's book is a must-have for any retro gamer who loves Atari. 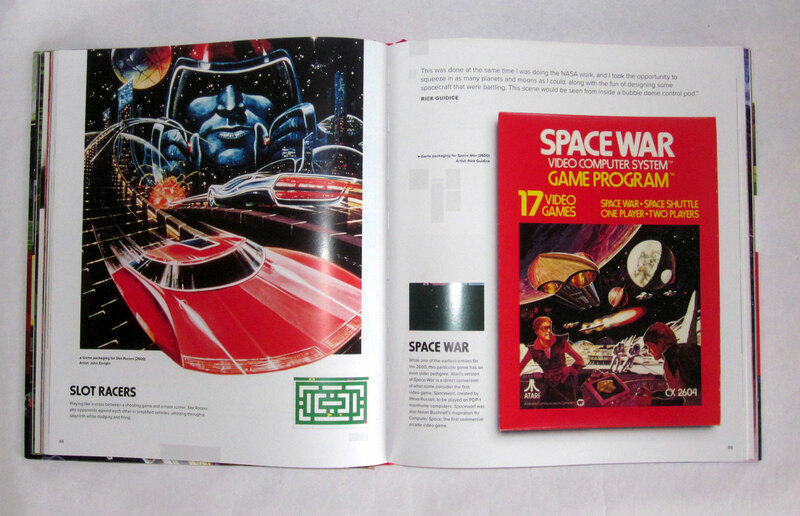 In the foreword by Ready, Player One author Ernest Cline, he sums up the importance of this book saying, "The box artwork was an essential part of the ritual of escape you experienced each time you played an Atari game." With little info available about video games, when we were kids, we used the box art to discern as much info as possible about a title. It was also helpful in gaining a sense of the adventure contained within. We may not have viewed our games as art, but clearly the imagery used throughout Atari's marketing was spectacular. Contrast any Atari box cover with those used in marketing today and you'll see quite a difference. This lavish hard-cover book of 350 pages offers beautiful 2-page layouts of many games among the inclusion of many more. Interviews and info showcase the illustrators and designers who are often overlooked in the history of game design. Art Of Atari celebrates those who created vivid images of the pixels we loved to move around the screen. For gamers, those few pixels took on the likeness of the artwork that inspired many of us to play for hours at a time! As a game collector in the late 1990s I went to an old Toys R Us to see what games they had. To my amazement, they still had several CIB Atari 2600 games on the shelf. I was instantly draw to them from the far end of the aisle. The size of the box and the style of art was unmistakably Atari. I ran toward them! From childhood to adulthood, the Atari brand is still as recognizable as it was when that iconic style of art was used to set them apart and make them stand out! Atari was a major force in the evolving era of computers and video games.Co-founder, Nolan Bushnell wanted to establish the Atari name and make it's products recognizable and familiar with consumers. Through beautiful artwork, each game came to life in a similar style, now renown to Atari. While the games themselves were primitive by today's standards, the developers received most of the attention. However, it was the artwork that would first catch one's eye at the retail level, in advertising, and catalogs. Before purchase, the artwork on the box had to convey many facets of the game from genre to game play. That's a big job for a single panel of art. Each game's artwork was displayed on the box, cartridge and manual. The box art was the largest of the pieces, yet was often considered just part of the "packaging" and often discarded. Many of us kept our boxes, but many did not. 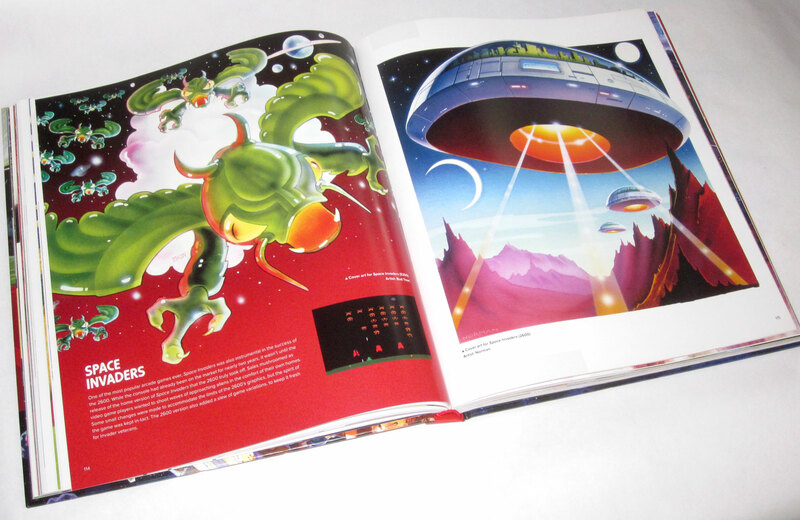 The Art Of Atari is also an important catalog of these creations. In addition to hundreds of games created for arcades, home video systems and computers, original artwork was specially commissioned to enhance the Atari experience to further entice children and adults to embrace and enjoy the new era of electronic entertainment. 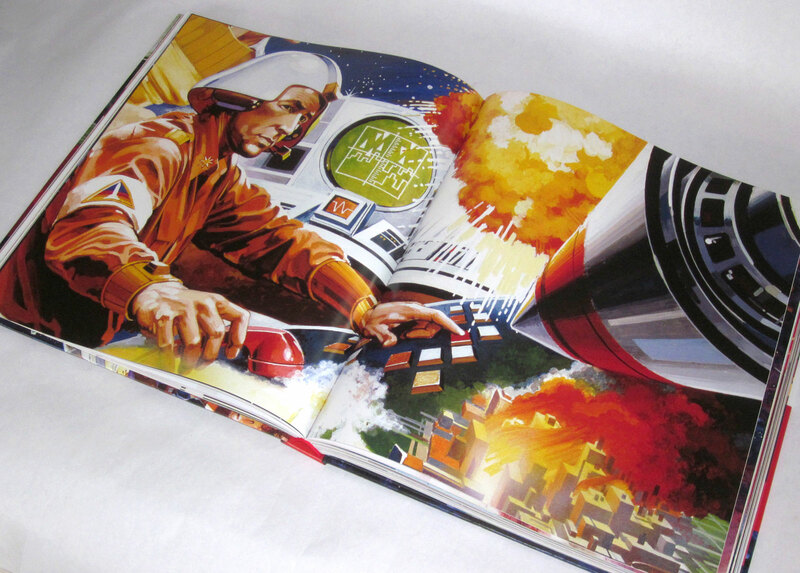 THE ART OF ATARI is the first official collection of such artwork. Sourced from private collections worldwide, this book spans over 40 years of the company's unique illustrations used in packaging, advertisements, catalogs, and more. 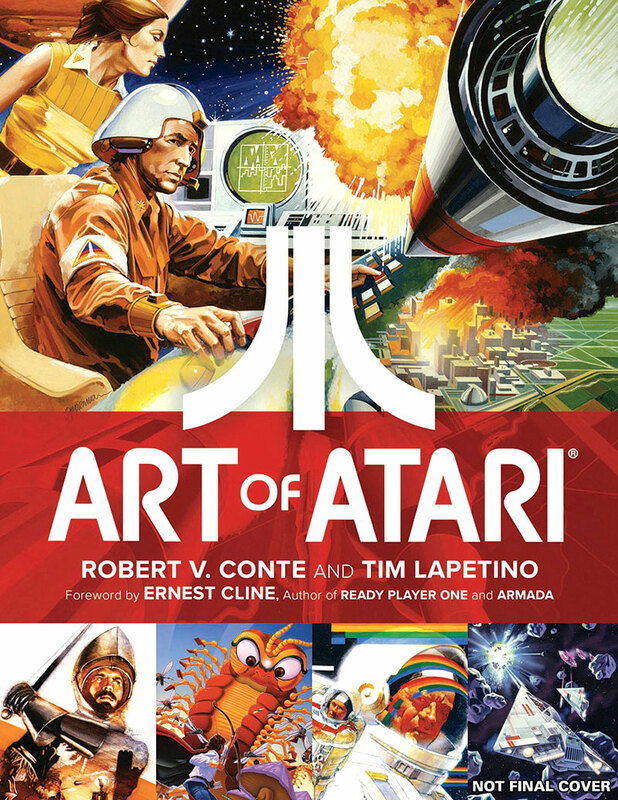 Includes a comprehensive retrospective collecting game production and concept artwork, photos, marketing art, with insight from key people involved in Atari's rich history, and behind-the-scenes details on how dozens of games featured within were conceived, illustrated, approved (or rejected), and brought to life! Atari is a touchstone for many people. Their games and game system exposed many to video games for the first time. Whether you're a fan, collector, enthusiast, or new to the world of Atari, this book offers the most complete collection of artwork ever produced! I've now seen Art Of Atari in comic book shops, book stores, and my local library. For anyone who loves video games, particularly Atari games, will love this book. It's wonderfully laid out and offers a good balance between large displays of artwork and textual content adding context. Once you flip through a few pages, you may find it hard to put down! will bring back old memories of games you owned and ones you played at a friend's house. With beautiful layouts from box art, advertising, catalogs, and beyond - the imagery is stunning. If you grew up playing Atari, this book is a treasure. For those who love retro gaming, this book is full of great info about the designers, games, consoles, and prototypes. It's the Atari book you've always wanted!